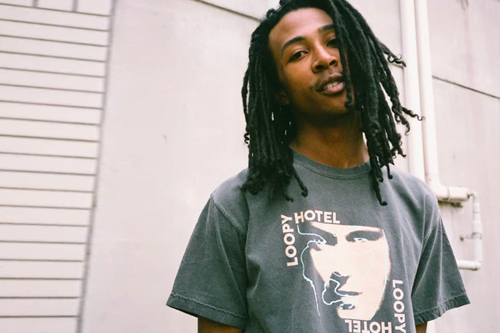 Japanese imprint Loopy Hotel is launching the second release of its Spring/Summer 2018 graphic T-shirt collection. This range looks to music icons of the ’80s, paying homage to Phil Collins, of rock band Genesis and hit TV series Miami Vice, as well as West Coast legend Egyptian Lover, who greatly influenced the likes of Dr. Dre and N.W.A.. Also referenced is Brazilian philanthropist and Spiritist medium Chico Xavier, who garnered an international following during the same era. Offered in a slew of neutrals and washed out hues, the tees feature minimal graphics referencing Phil Collins’ cover artwork for his hit single “In the Air Tonight,” Egyptian Lover’s song “Freak-A-Holic,” a portrait of Chico Xavier as well as signature Loopy Hotel designs. The range will release on May 28 in-store and online at Loopy Hotel’s web store. For more releases, check out these 10 drops you don’t want to miss this week.